With the hardness of a database and the subtlety of a historical study, are recounted the 34 seismic disasters that have marked the history of Italy in its first 150 years, from unification. 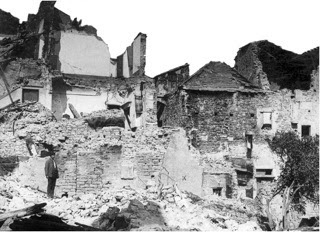 A seismic disaster occurs on average every 4-5 years, with severe damage or destruction at 1,560 locations, 10 cities, including capitals. And in between, other 86 earthquakes of lower energy, but sometimes a little less destructive. An Italian story unusual and disconcerting, on which no one had yet submitted the bills. Unpredictable, destructive, expensive, seismic disasters continue to weigh on the economies and afflicted societies for decades, sometimes forever. 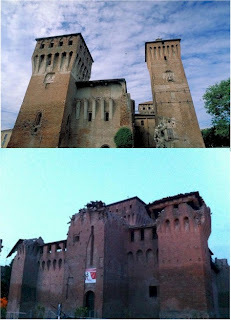 At any time has been, strong earthquakes have changed the lives of individuals and families, changed social relations, rich heritages places demolished, damaged or reduced historic and modern buildings to rubble, modified forms of urban settlement networks changed, scoring sometimes ruins and leave the Italian landscape. Why so much damage? Who paid the higher cost? "... The aim was to understand the seismic problem in our country. 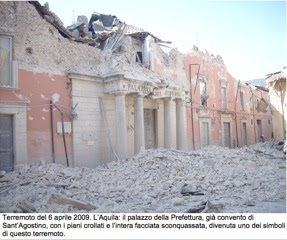 This publication was made possible by the historical research developed for the Catalogue of Strong earthquakes in Italy from 462 BC up to 2010 (database now INGV). We have a disaster every 4-5 years, even with relatively low magnitude (5.5 to 5.8). We have tried to shed light on the causes: the character of the buildings (65% are previous to 1950), an extended presence of old and poor houses, lack of earthquake standards. But even when there were laws, weak institutional and political instability have underestimated the importance of applying seismic safety, though again and again emanating. Another important element, especially in the last 50 years, is the lack of information on seismic risk of the population. Who calculates the seismc hazard does not know some important details from the past. There is a problem of underestimation of impacts. There is no dialogue with historians. In addition there is a problem of method of hazard assessment (historical seismicity selected according to certain criteria + acceleration). The result not disclose the risk to decision-makers, administrators and average people..."
The book is organized by the Euro-Mediterranean documentation EXTREME EVENTS AND DISASTERS, in collaboration with the National Institute of Geophysics and Volcanology.